Lough Neagh is an important site for large numbers of wintering birds but it also provides a range of habitats for breeding birds in the summertime. 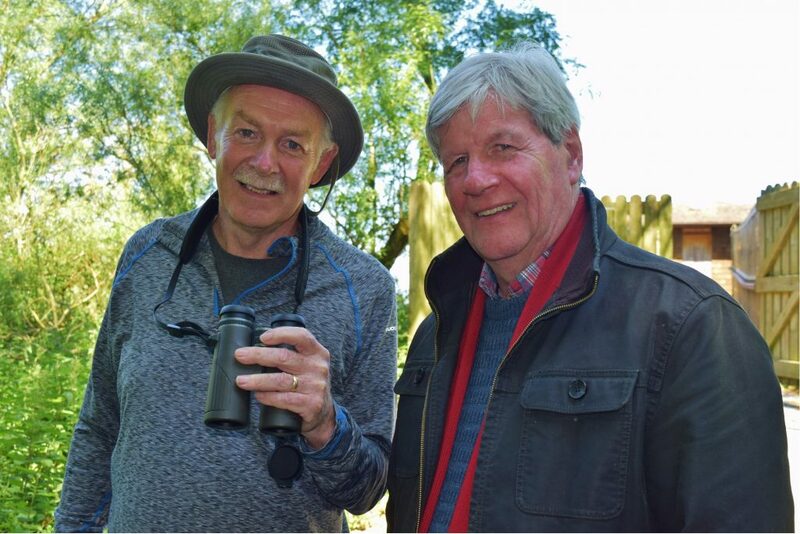 This week Joe Mahon joins bird expert Bob Davidson at the Kinnego Hide on Oxford Island for some fascinating insights into the private lives and parenting skills of coots, grebes and swifts. 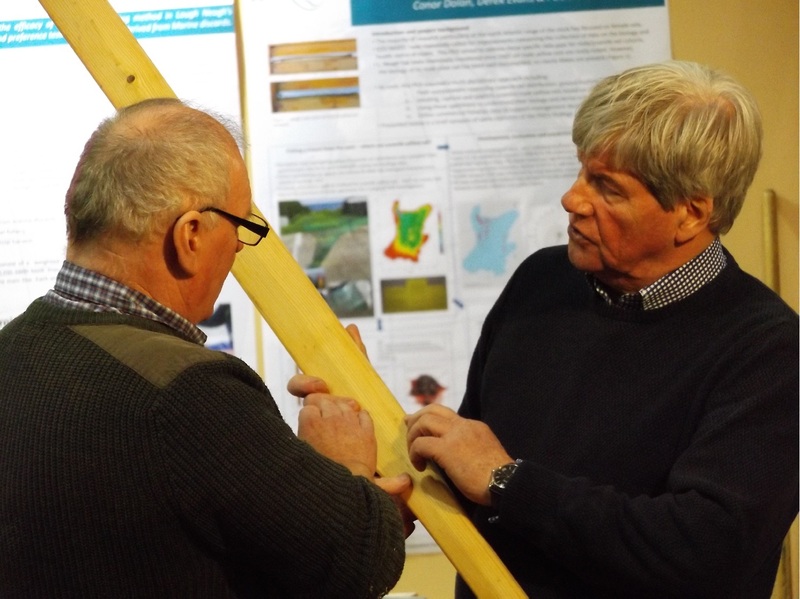 Bob is carrying out a survey of the small islands or “flats” of Lough Neagh which are valuable nesting sites for a range of birds, but which are threatened by the growth of trees and scrub and by predators such as mink and rats. One of his greatest allies in combating such threats is, believe it or not, the local wildfowling club who expend more energy on conservation than they do on shooting! 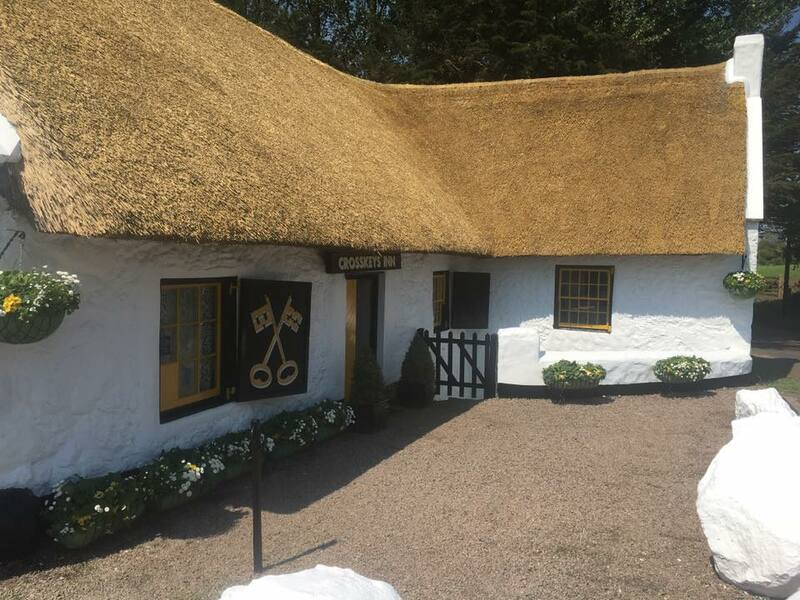 Another Lough Neagh visitor is that incredible flying machine, the swift, whose feet may not touch the ground for the first three years after it leaves the nest. Every year they fly in from Africa to feast on Lough Neagh’s abundant insect life from May until August. 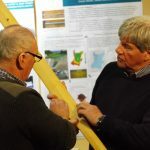 There’s been a recent decline in their numbers noticed elsewhere in Europe and Kendrew Colhoun of the RSPB is anxious to gather vital information which might help improve the situation. Over on the Antrim shore of the lough at CAFRE – the College of Agriculture, Food and Rural Enterprise at Greenmount which has provided first class accommodation for the swifts,- Kendrew impresses Joe with a tiny piece of very clever technology – a data logger powered by the world’s smallest solar panel – which is so light, he assures us, that the swift doesn’t even know it’s carrying it. Joe then spends time admiring the handiwork of some very crafty people. 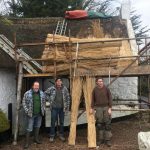 Roger Lively, Kieran Breen and Pat Hughes are keeping alive the traditional skills of boat-building. This Lough Neagh Landscape Partnership HLF funded project has produced traditional boats at Lough Neagh Fishermen’s Co-operative, Toomebridge and Glenavy and will continue travelling round the lough shore, setting up workshops and teaching volunteers how to make the kind of clinker-built, wooden hull boats that were once commonplace on Lough Neagh. 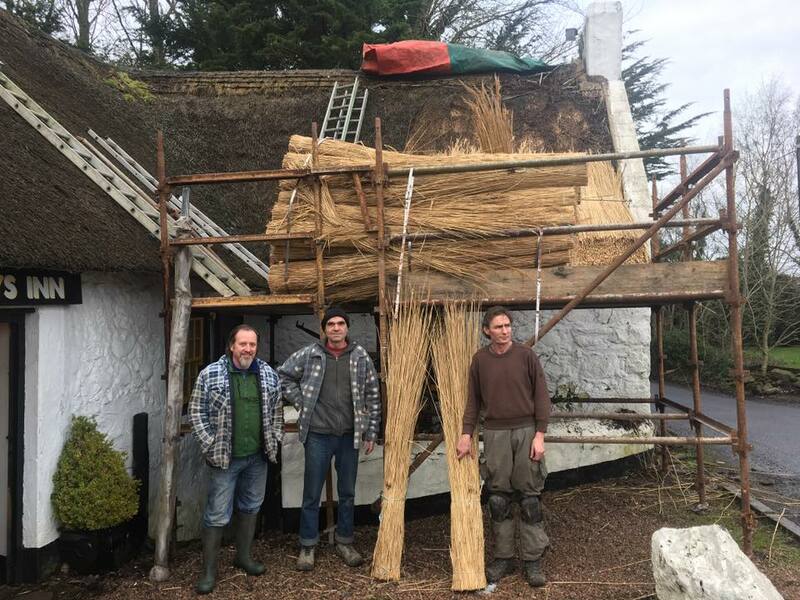 Joe enjoys a visit to Crosskeys Inn, Ireland’s oldest thatched pub, where traditional thatcher Ciaran Agnew is applying a new surface to the roof timbers. 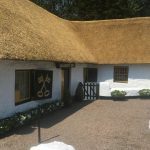 The finished result – this 16th century building looks brand new!